A 90 minute party with 60 minutes of jumping time and 30 minutes of party room for up to 8 children all in a private, safe, clean, climate controlled environment. Invite up to 7 of your friends to join you for an unforgettable experience! You and your guests will enjoy lots of fun-filled inflatable playtime and the use of our brightly decorated, private party room. 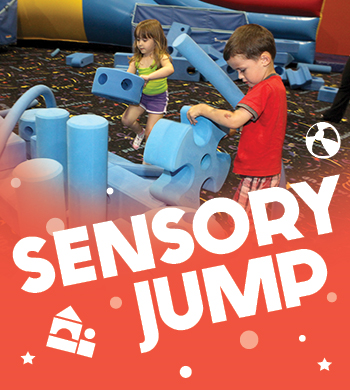 At Pump It Up, we offer you a private arena, private party room and a dedicated team of staff working your party. Make it an Ultimate for $155 and include pizza, drinks, goodie bags, and balloons! Please call us fro details. An awesome get-a-way opportunity for parents and a fun filled evening for the kids. Pizza and drink will be served. Kids will enjoy, crafts jump time, and games through out the evening. Check out our Special Events Calendar for the next scheduled session and call to reserve your spot. Reservations are required. Ages 3 to 12 and child must be potty trained.